Order delicious Biryani online & get flat 30% instant discount at BehrouzBryani. Choose From Variety Of Delicious Biryanis like Shahi Biryani, King Size Biryani, Biryani Combos, Shrine & Sherbet and many more. Order delicious foods and get 20% off on your first order at Behrouz Biryani. Use coupon code to avail this offer. Offer valid only for the new user. Order now and get more discounts. Order delicious food & get flat 20% cashback is paying through Amazon Pay Balance at Behrouz Biryani. Max Discount Rs.75. No coupon code to avail this offer. Offer valid only once per user and for all new and existing customers. Behrouz Biryani is offering flat 25% cashback plus extra max. Rs.150 freecharge cash on all orders. Also, get additional Rs.75 to freecharge wallet which is valid twice per user. Use coupon code to avail this offer. Pay via Paytm and get flat Rs.50 cashback on minimum order amount Rs.250 at Behrouz Biryani. Offer valid for 4 times/user. No coupon code to avail this offer. Order now and get more discounts. Behrouz Biryani is offering flat 20% off on a minimum order of Rs.500 and above. Use coupon code to avail this offer. Choose from royal & kilo biryanis, sweets etc. Offer valid not on combos, beverages & MRP items. Choose From Variety Of Delicious Biryani's like Shahi Biryani, King Size Biryani, Biryani Combos, Shrin & Sherbet and many more. Deal On Behrouz Biryani - Buy King Biryani online at Behrouz Biryani and get price starting at Rs.430 only. Discount code not required for this offer. Best Offer On Behrouz Biryani - Buy Shahi Biryani online at Behrouz Biryani and get price starting at Rs.250 only. Promo code not required for this offer. Get 10% off on your minimum order of Rs.199 and above at Behrouz Biryani. Not applicable on beverages & MRP products. Cannot be combined with any other offers. Can be redeemed multiple times. Order now & save more. Order delicious food & get flat 15% off on your first order at Behrouz Biryani. Use coupon code to avail this offer. Offer valid only once per user and for all new and existing customers. Get Biryani combos starting @ Rs.330 at Behrouz. Promotion code not required for this offer. Choose Shahi Subz Dastarkhwan (Veg), Share-E-Biryani (Veg), Shahi Gosht Dastarkhwan (Non-Veg) and more. Detail on the landing page. Get 10% off on for your food order at Behrouz Biryani. Discount up to Rs.100 & minimum order value should be Rs.199. Not applicable on beverages. Order your delicious food like sahi biryani, biryani combo, shrin & sherbet, king size biryani and many more and get flat 15% off on order of Rs.300 & above at Behrouz Biryani. 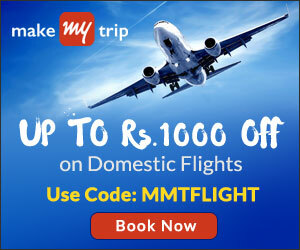 Apply promo code to avail this offers. Get 10% off on your food order at Behrouz Biryani. Discount up to Rs.100 & minimum order value should be Rs.199. Give us your email so we can send you Behrouz Biryani Coupons once a day and our biweekly newsletter. Behrouz Biryani Coupons- Behrouz Biryani is an online food ordering store.Behrouz Biryani offers a wide variety of royal biryani's just apt for your taste & mood. Order online now & get it home delivered in the matter of mins.Save with fresh Behrouz Biryani Coupons, Offers & Promo Codes. Behrouz Biryani offers, discount coupons & promo codes help you to save time & money through online food ordering. Get the latest Behrouz Biryani coupons and offers at CouponRani.